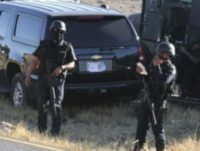 NUEVO LAREDO, Tamaulipas – El cartel dominante en la región, ordenó a los medios de comunicación de esta ciudad fronteriza que no denuncien o investiguen el reciente asesinato de un exalcalde de la ciudad. 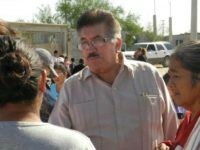 News outlets in the Mexican border city of Nuevo Laredo have been ordered by the dominant drug cartel in the area to not report or dig into the recent murder of a former city mayor. Las ejecuciones en esta ciudad volvieron a arreciar bajo una modalidad nueva donde los sicarios entran a las casas a las casa en la madrugada para sorprender a sus víctimas disparándoles a quemarropa. 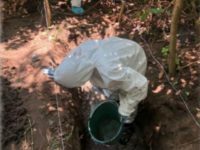 Las autoridades mexicanas han descubierto los restos de al menos 166 víctimas en un campo de exterminio de cárteles. Las víctimas habían sido enterradas en 32 fosas comunes, sin embargo, se cree que aún hay más cadáveres enterrados en la zona. 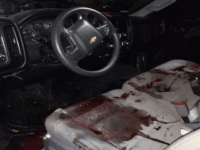 Two innocent victims died and a third was injured during a fierce gun battle in the border city of Nuevo Laredo. 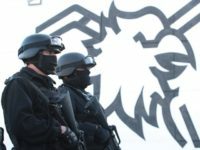 The deaths occurred when gunmen believed to be with a faction of Los Zetas attempted to ambush a squad of Mexican soldiers. The two innocent victims died when their vehicle became caught in the crossfire. 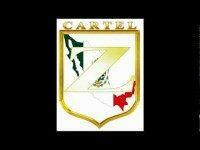 Cartel gunmen ambushed a squad of state police officers in a fierce gun battle before making a clean getaway. 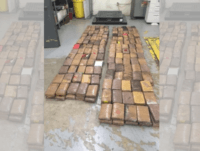 Border Patrol agents seized nearly 3,000 pounds of marijuana near the Mexican border with Texas in three separate incidents this week. 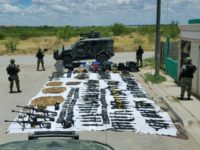 Federal law enforcement officials say a large weapons cache seized in the Texas border town of Laredo was likely heading to Mexico. 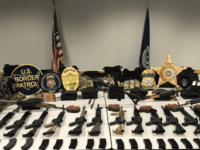 Homeland Security Investigations (HSI) agents and other law enforcement agencies teamed up to stop a large quantity of semi-automatic weapons, ammunition, and ballistic armor from being smuggled to Mexican drug cartels in Nuevo Laredo. 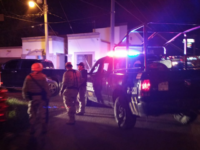 A series of raids by Mexican military forces in the downtown area of Nuevo Laredo uncovered a cache of military-grade weapons. Those weapons include rocket launchers, grenades, dynamite sticks, machine guns, rifles, and several cloned Mexican infantrymen uniforms and vest. 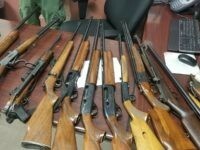 Una serie de redadas por parte de las fuerzas militares mexicanas en el centro de la ciudad de Nuevo Laredo descubrió una fuerte cantidad de armas de uso militar incluyendo lanzacohetes, granadas, dinamita, ametralladoras, rifles y varios uniformes y chalecos clonados para parecer que eran de la infantería mexicana clonados. 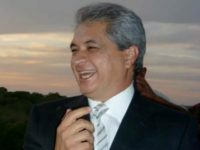 A former governor of Tamaulipas, Mexico, is finally expected to appear in a U.S. federal court after spending close to five years on the run from U.S. federal authorities. 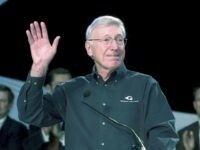 The cartel-connected governor will face a U.S. federal judge for his initial hearing in connection with 11 charges including drug trafficking and money laundering. 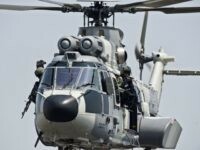 Una familia que quedó atrapada en el fuego cruzado de un feroz enfrentamiento armado entre sicarios y militares en la ciudad fronteriza de Nuevo Laredo, recibió impactos de bala desde un helicóptero de la Marina de México, confirmó la Procuraduría General de la República. 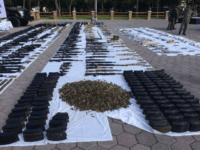 Mexican military forces repeatedly engage violent drug cartels operating south of the Texas border with Mexico, often uncovering large stockpiles of combat-grade weapons and explosives. 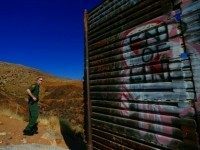 Border Patrol agents arrested eight Bangladesh nationals in the Laredo Sector during a two-day period last week. 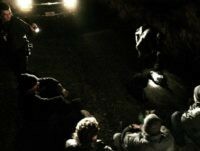 During the month of March, Laredo Sector agents arrested at least 24 after they illegally crossed from Mexico. 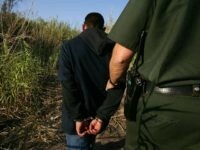 The Laredo Sector leads the nation in arrests of Bangladeshis who enter the U.S. illegally in South Texas. Border Patrol agents from the Laredo Sector arrested nine more Bangladesh nationals this week in three separate incidents. 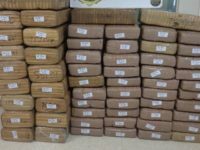 The Laredo Sector leads the nation in the apprehension of Bangladesh nationals who are being smuggled through the Los Zetas cartel-controlled territory into the U.S.
Federal law enforcement officers in Laredo, Texas, seized nearly $6 million in cocaine during a smuggling attempt from Mexico. 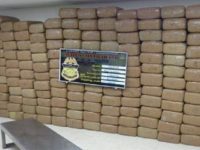 U.S. Border Patrol agents seized nearly $1.2M worth of marijuana as it was being smuggled across the Texas border with Mexico during a 2-day period last week. NEW ORLEANS, Louisiana – The number of newborn babies who have been exposed to drugs and alcohol in Louisiana has tripled since 2008, mostly due to the massive rise and popularity of heroin being trafficked into the state through the U.S. southern border. 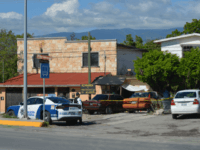 CIUDAD ACUNA, Coahuila — Authorities in this border city have seized body armor, drugs, tactical clothing and an SUV left behind by members of the Los Zetas cartel. A U.S. federal jury in San Antonio, Texas, convicted a high ranking sicario for the Los Zetas drug cartel. 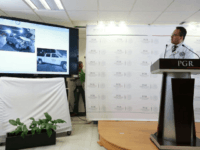 The man was convicted of conspiracy to commit murders and other acts of violence in northern Mexico as part of the cartel’s drug distribution operation. A Houston police officer received a 30-year prison sentence from a federal judge for helping members of the Los Zetas drug cartel obtain guns and body armor. He also supplied sensitive information about operations to the cartel and assisted them in smuggling cocaine. Two Mexican nationals have been extradited from Mexico and are facing trial in connection with the murder of ICE Special Agent Jaime Zapata, and attempted murder of ICE Special Agent Victor Avila. 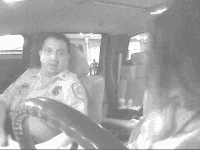 The two agents were ambushed in Mexico in February of 2011.